Dame Vivienne Westwood is punk rock’s grande dame. One-time agent provocateur, the doyenne of British fashion, an eco-conscious Boudicca and one of the most influential originators in recent history. The film explores her uphill struggle to success, looking closely at her artistry, her activism and her cultural significance. Blending iconic archive and newly shot observational footage, this era defining, intimate origins story will be told in Vivienne’s own words, and through touching interviews with her inner circle of family, friends and collaborators. 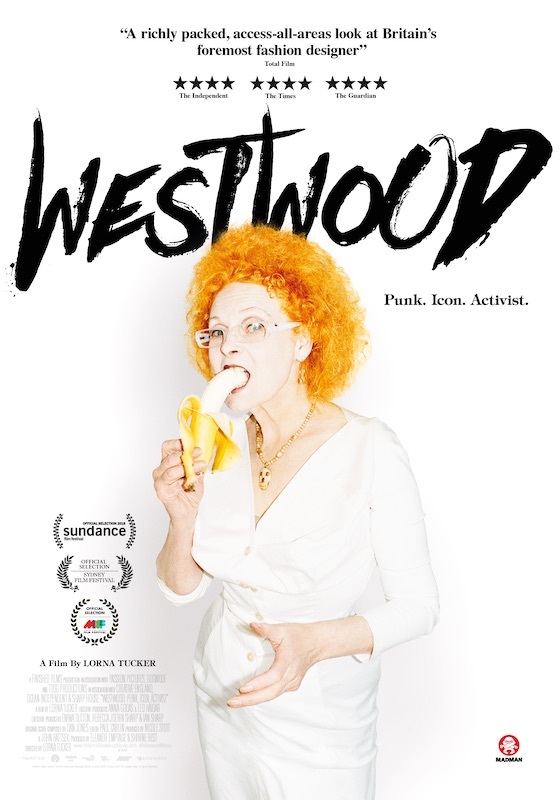 Westwood: Punk, Icon, Activist is the first film to encompass the remarkable story of one of the true icons of our time, as she fights to maintain her brand’s integrity, her principles – and her legacy. Features exclusive and unprecedented access to Westwood and touching interviews with her inner circle, including her husband and creative director Andreas Kronthaler and Kate Moss. Westwood is in cinemas 18 October. Thanks to Madman Entertainment, we are giving readers the chance to win one of five in-season double pass to Westwood. To be in the draw simply fill in the form below or call the office on 9227 8283 during business hours.